If it's the best, it's The Best of Sonoma! 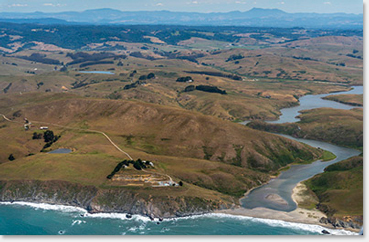 Comprising 1,768 square miles and stretching for 55 miles along the Pacific Ocean, Sonoma County is big. Also, as anyone knows who has ever stepped foot within the county limits, it’s beautiful. And, let’s be honest: this place is also an ecological paradise containing countless micro-climates and immense species diversity. So, in a county so big, so beautiful, and so incredibly varied…how do you even begin to figure out where to go for a hike? It’s easy with this guide. The 11 California State Parks located in Sonoma County cover an extraordinary diversity of geographical terrain that reflects the county’s beauty. Our state parks overlook the Pacific Ocean and many beaches, and they are home to rivers and lakes, mountains and valleys, redwood forests and pygmy forests—and even vineyards. Some state parks not only offer opportunities to explore the beauties of nature—they also tackle history. If you want to learn more about California’s exciting and colorful past in a fun way, just visit Petaluma Adobe, Sonoma, Fort Ross, or Jack London state historic parks. Be prepared to be amazed. With the aforesaid diversity, it’s not surprising that these parks offer an ultra-generous range of hiking, biking, horseback riding and other activities. Whether you’re looking for flat, short ‘n easy trails or x-treme, let’s-tough-it-to-the-top punishment—you’ll find it in one of Sonoma County’s state parks. Want to hike in and spend the night, enjoy a lakeside picnic, get lost in a redwood grove? Yep. All that and so much more. Sonoma County’s thriving regional park system consists of more than 50 parks — including trails and open spaces — and encompasses nearly 60,000 acres. Parks run the length and breadth of the county, stretching from Bodega Bay in the south to The Sea Ranch and Gualala in the far north, and from the Pacific Ocean in the west to Sonoma Valley on the county’s eastern edge. The newest regional parks are Taylor Mountain and North Sonoma Mountain. Regional Park trails cover a vast terrain—and not just in miles. No matter your experience and hiking level, you’ll find a hike that’s perfect for you. Perhaps you’ll want to approach hiking in our parks from the standpoint of your interests. There are trails to thrill history-lovers, geology mavens, birdwatchers, autumn leaf-peepers, spring wildflower fans, and wildlife lovers. There are trails for people who like to stand on top of a mountain looking out or deep in a valley looking up. You’ll find trails to lakes where you can fish or swim or rent a kayak, and trails that lead to softball fields, ocean beaches and dog parks. There are plenty of trails geared to families with young children and people with accessible needs.